My FAVORITE stamp/die of the Month part 2! 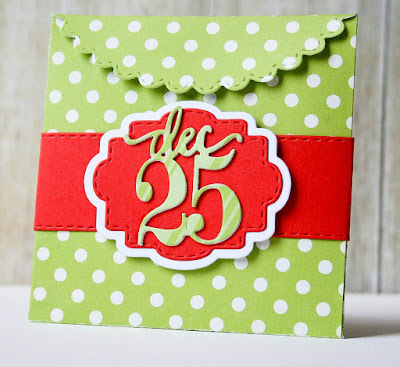 MCT 47th Edition Blog Hop!!! Labor of LOVE Blog Hop & Sale!!! 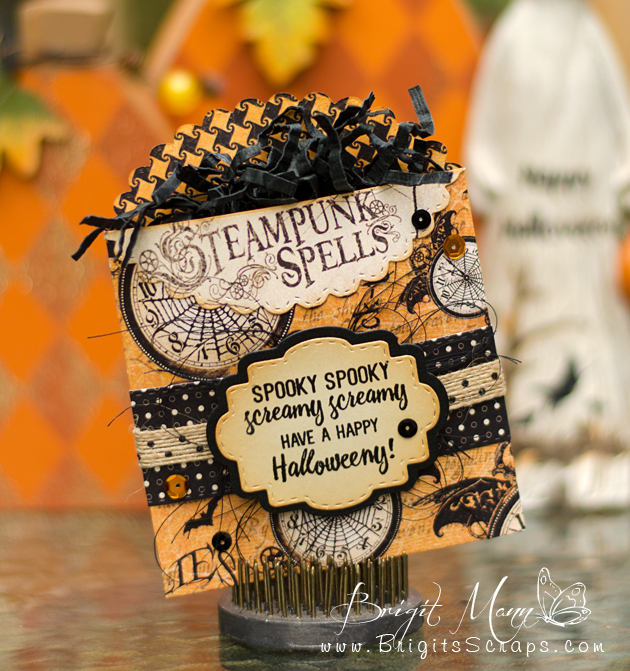 GOOD MORNING my sweet friends & welcome to our last day of sneaky peeks from our 47th Edition Release!!! Today is the BIG day! 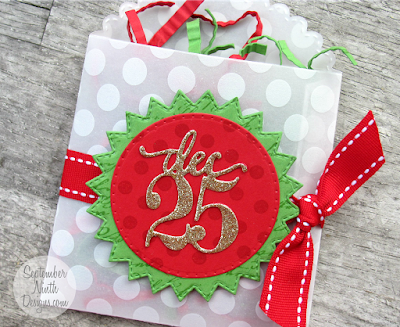 We are showcasing our last NEW die "Stitched Treat Sleeve Die" along with our "FREEBIE" "Dec25th" die! 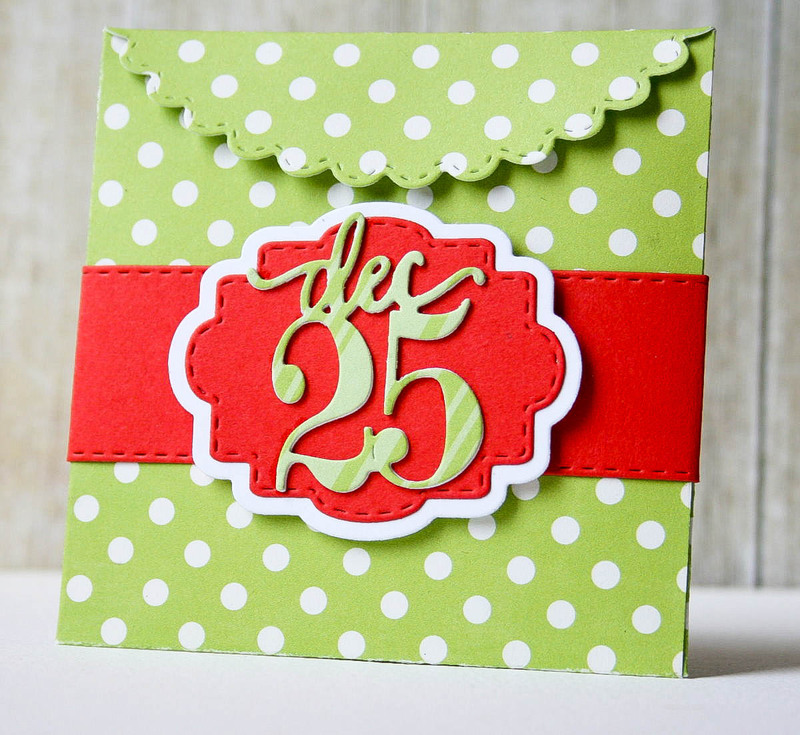 Our "Freebie" for this release is this ADORABLE "Dec25" die. It will be given to the FIRST 150 shoppers! If you are one of the 1st 150 shoppers it will be automatically added to your package at the time of packaging/shipping. Once 150 shoppers come through, the die will be available for purchase. So, if it’s for sale in the store, you are not one of the 150. No exceptions will be made. This freebie die is not a part of the “bundle” and will be sold separately! 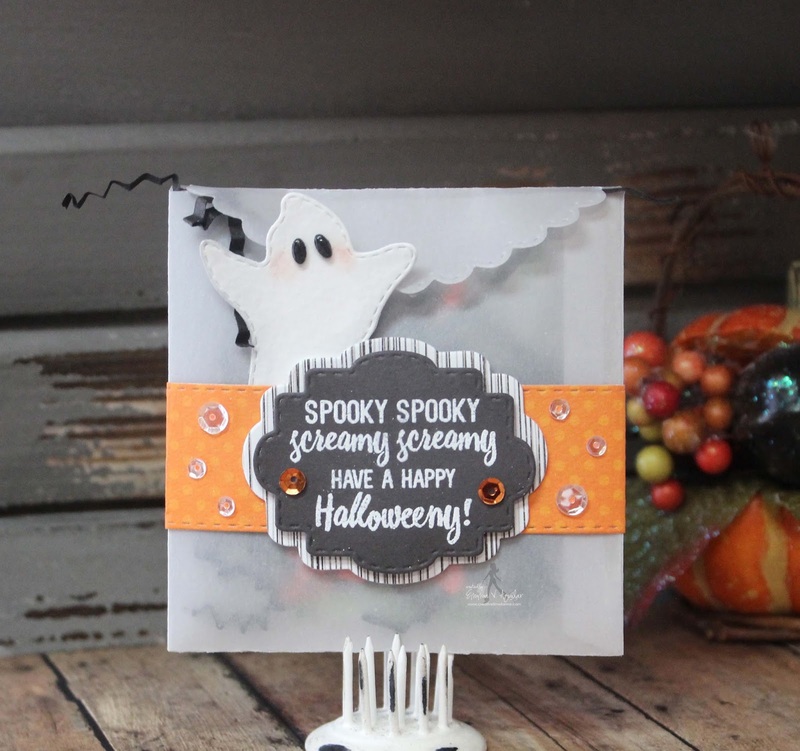 Okay, now onto all of my projects that I created using this new AWESOME die called "Stitched Treat Sleeve Die!" I am OVER THE MOON EXCITED about this die! You can keep your projects cute OR classy looking, but either way, I just LOVE how EASY it is to create something quickly! My first one, I just HAD to make it a Halloween treat! But on the inside, I put a gift card in there! You see how the Stitched Belly Band Dies & the Belly Band Sentiments go SO WELL with our new Treat Sleeve??? NEXT up is a cute treat that I put a cookie inside! 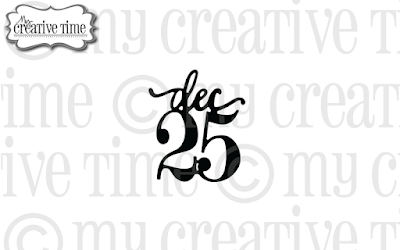 This Dec25th die is going to make the classiest Christmas cards OR projects EVER!!! Now onto the BESTEST design team in the WORLD!!!! ;) Don't forget to click on each name to visit each blog to leave your comments for a chance to win today's sneaks!!!! So clever! Making the sentiment below the tag the same! Awesome idea, and you thought of it! Love how you stamped the band with the leaves stamp too! So creative. Beautiful card. CONGRATS Miss Roberta, I will email you shortly! OMG!!! This is the perfect treat sleeve ever!! I'm in the mood for baking and stuffing this treat sleeve with all kinds of yummy goodness! The design team killed it once again! These projects are amazing!!! More great projects!!!! Enabler alert!!! MUST HAVE DIES AND STAMPS by MCT!!!! Good Morning Miss Emma! OMG What an awesome Sneaky Peek WOWZERS Girl you've totally have outdone yourself with this release...your sleeve Die is Fabulous!! I love it and what you created my goodness you are ever so clever love how this whole release all works together...Genius I tell you just Genius!! 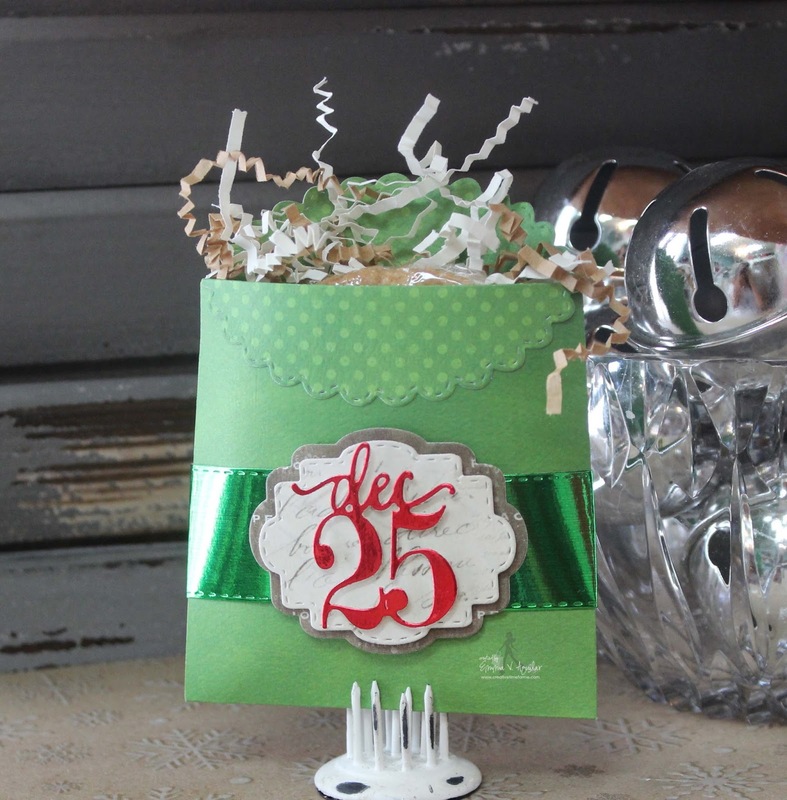 Love the little freebie Dec 25th die it's so awesome and love your little ornament so cute!! Thanks for a super fun week of Sneaky Peeks you and your DT have rocked this release...soooo can't wait til tomorrow. Have a Terrific thursday!! Super cute projects, can't wait to get started on my holiday projects! These stamps and dies are just what I need! Awesome release!! Love the projects! OMG!!! 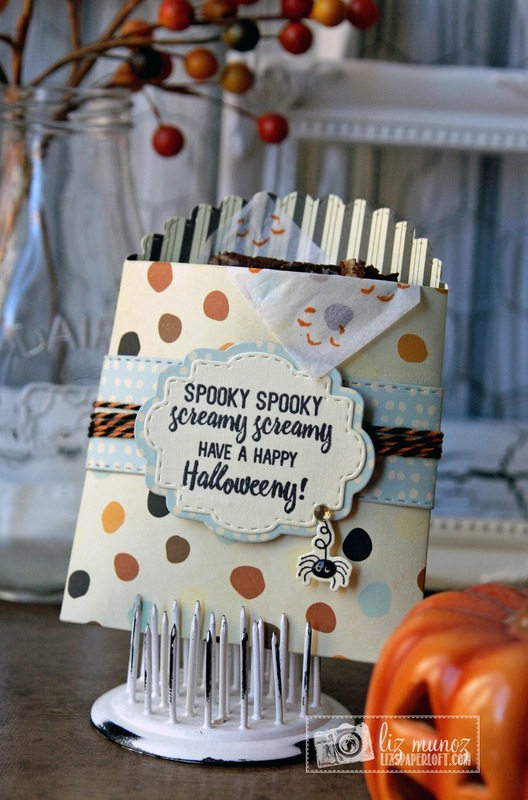 The treat sleeve die is a definite must-have!!!! As well as that belly band stamp and die set from yesterday!!! 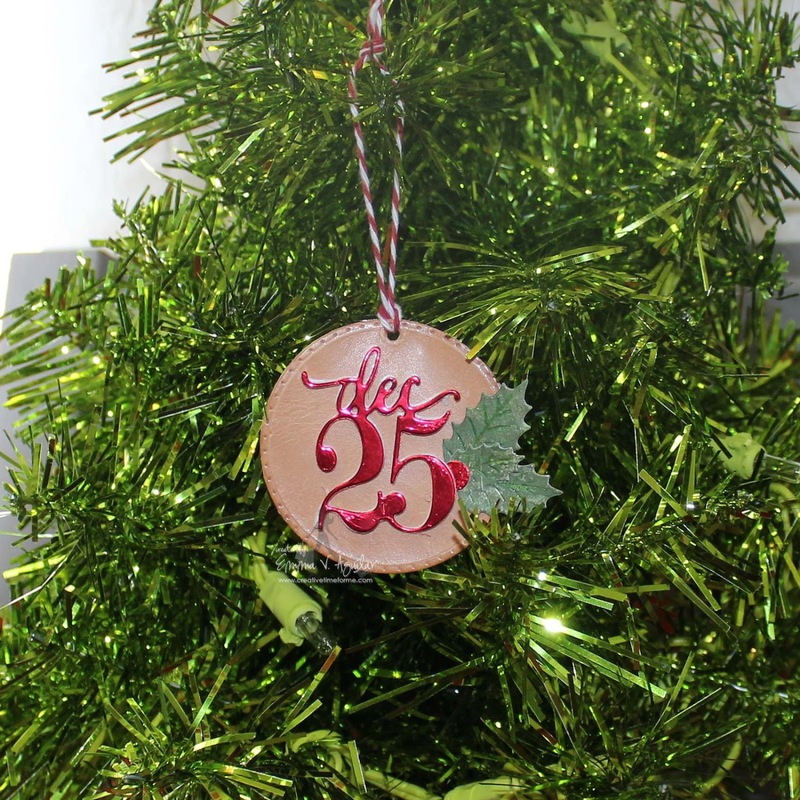 You and your design team have definitely got me in the mood for some holiday crafting!!! WOW! Neat treat sleeve die...love it. All artists' designs are really awesome. 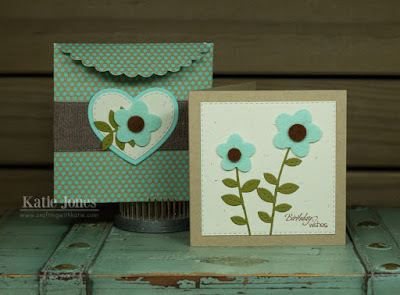 WOW, Love this treat sleeve die, so many possibilities with this one Emma :) Absolutely gorgeous projects from everyone. I am going to love using this die for gift cards during Secret Santa week at work. You ahave produced an excellent holiday release! 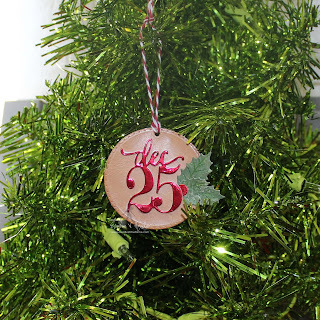 The freebie die will be perfect for making ornaments and tags. Love the samples that you ladies made and I am in love with this treat bag die, so super cute! This is one of my FAVORITE releases ever. So many cute projects to make. I cannot wait to get playing with them! You have really outdone yourself on this one! 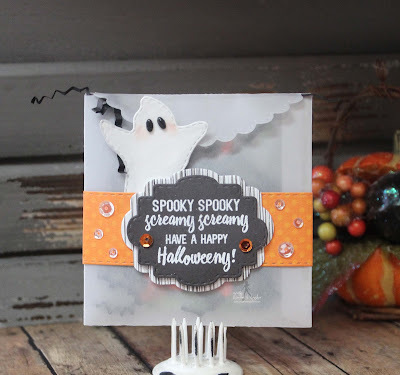 I loved the stitched treat die and all of the tags you created for it! 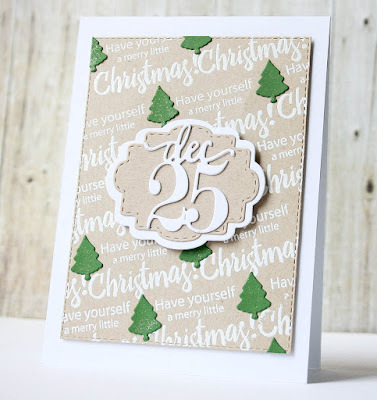 I also love the freebie die!!! Must have this die in my die collect!!! Super cute!!! All the projects are amazing! Love this sneak peek! What a wonderful team of crafters, I love everything they created! Oh my goodness.... I absolutely adore this treat sleeve die!!!! Oh wow Emma! Love everything in this release! Super excited about tomorrow!! Can't wait to order these fabulous products!! Eek!! Such lovely products. I love the dec 25 die. Too cute. Cute treat holder!! I am thinking of trying it with wrapping paper. But maybe it wouldn't work because it is not double sided. How curious I was looking at treat bags yesterday, and ones large enough for cookies, you must have read my mind and no doubt the minds of many others. This is a super die. Thanks for the shares team. grandstitchesatbrickdotnet. OMG I love this bag! So cute! What a perfect die for every occasion! This is so cute. I have been under the weather so I am playing catch up today. What a great release!! I love that bag! It's the perfect size for treats, a gift card, cookies, etc. Another amazing release Emma!! 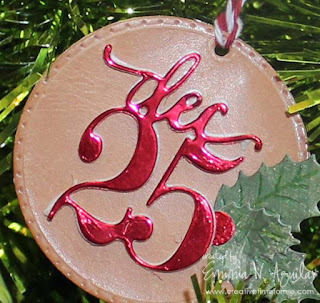 Love the Dec. 25 die too, that is so cute. I NEED this bag! Ugh! You have really blown me away this week. You along with your design team have really showcased this release off amazingly. Seriously the best design team around. Can't wait til tomorrow! This is such a great release, love love, love it! Your design team is amazing, beautiful projects. Great release Emma!! Speechless! Your DT are awesome!! I LOVE IT!!!!!! this whole release has been awesome. Only one more day WOOHOO!!!!! Emma you are super talented and so creative! I look forward more and more to ever release because I just know they are going to blow me out of the water! Christmas is my favorite time of year and while you can use everything from this release all year round, I have so many ideas of what I to make for Christmas. The cookies, snacks, cards, gift cards, gift bags, presents, the ideas are never ending! Lovely sneak peeks this week and all your creations are beautiful as always! Well done my friend! You hit it out of the park again! Home run! I love your creations using the new sleeve die. I just love all the coordinated dies that go with this die. Looking forward to the release! I absolutely adore the pretty tags and fun goodies!Such a fun release!! Can't wait for tomorrow!! Im gonna have to rearrange my day so I can order early! Oh my goodness miss Emma what a great holiday release. 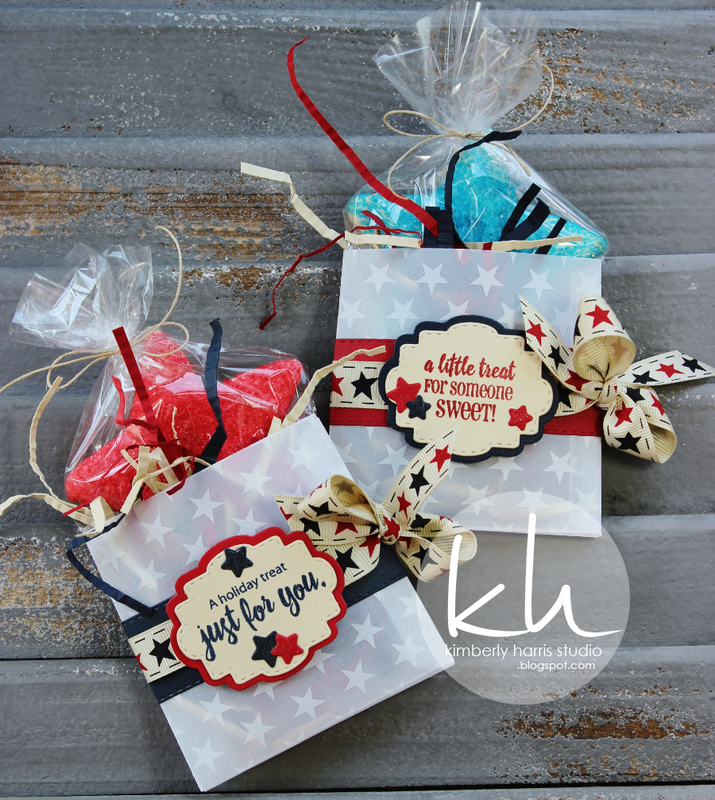 These treat bags are such a great idea and they turn out so cute. I like all the different ways you can decorate this treat sleeve. Just when I thought it couldn't possibly get any better, this die appeared. I have great plans for,this one. I can think of some many times the items in this release can be used. It was a great release. Can't wait to see everything at once. I am loving this whole release this week! The stitched treat die is awesome! All the projects are so creative and amazing, and show the versatility of the die! I just love how versatile all of these stamps and dies are this week! It's so hard to choose which is my favorite!! I just love the stitched treat die. What a wonderful way to showcase a treat or gift. Wow!!! This is a sweet little container with the scallops. I can see lots of uses for this. Eeek. Love it. LOVE Emma!!! FAb new dies! Love all the projects too! Your team rocks! Thanks for everything! Love all the great ideas! Emma this treat sleeve is awesome! Best of luck on the new release! Emma, you've hit a home run with this release and I'm simply enamoured with everything you've showcased. What can I say except: Mr. Visa is pumped for action! is perfect and so beautiful, I love this new die, your little bags are so perfects! Listen girls....that's way too many treats for you to be keeping in the house (just because summer's over, still gotta watch the ol' waist line. HA!) So I'll make it easy for you....just pack them all up and slap my address on them. I'll be watching my waist line all right. Watching it GROW right out the door! HAHAHAHA! OMG! but seriously, how flippin' cool is this treat pouch?! Love having a new way of packaging up little goodies, especially just in time for the holidays! (although I'm still feeding my new slider box addiction. hee hee) As always, girls, you rocked it! Love your video and I'm definitely going to have to try cutting out some leather with that die cut! Love all of your creations and the designers from all of the sneaky peeks this week! Once again an outstanding release. So many possibilities were showcased this week, identifying the diversity of these new sets. An inspiration to us all. Can't wait to put in my order! Awesome, awesome, awesome new release. I'm seriously in love! Now, Emma that die is the cutest!!! You and the design team did an absolutely yummy job. And, that December 25 die is GREAT. May God continue to enlarge you with as many ideas that you can receive. Another AMAZING release!! LOVE the new dies...you will sell out, no doubt!!! I seriously need to go back to work to keep up with these releases, hehe! I can't resist~I love it all! Your projects all rocked~the DT did an amazing job showcasing this fantastic release! Thanks for all the inspiration! Have a great evening Emma! 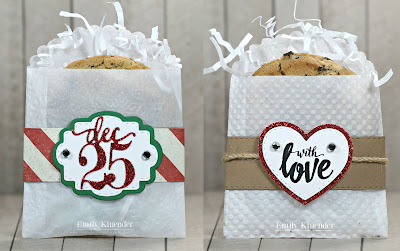 I like that the Stitched Treat Sleeve Die can be used many ways as you and the awesome design team demonstrated today. Many occasions it can be used for and lots of ways the Belly Band can be decorated using new and older releases. Fabulous job everyone! I am looking forward to the hop and seeing what else you all have created. Emma ~ OMGOSH these are all AMAZING!! I ADORE everyone of your treat sleeve projects ~ they are simply PERFECTION!! But that leather ornament ~ EEK!! I LVOE that!! Oh my word its GORGEOUS!!! See watching your videos even a DT can learn something new! Thanks for always sharing your ideas with us!